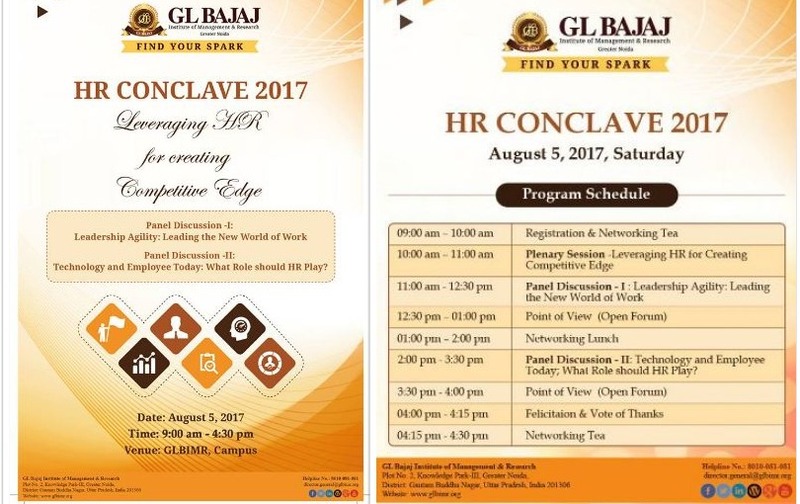 GL Bajaj Institute of Management & Research is organizing HR Conclave 2017 - “Leveraging HR for Creating Competitive Edge”, on Saturday, August 5, 2017, at GLBIMR campus, which will bring the most efficient HR fraternity discussing about the concurrent concern areas in Human Resource & People Management. This is an endeavor to provide a knowledge sharing platform to deliberate and discuss the challenges and opportunities of HR function, thereby creating the competitive edge. 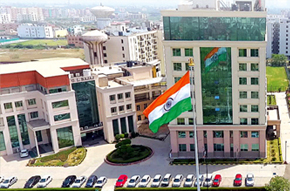 This unique initiative is being taken under the guidance of Dr. Urvashi Makkar, Director General, GLBIMR to strengthen the Corporate & Academia bond. The HR Conclave will have a plenary session and two panel discussions on following sub themes as per the following schedule. 2:00 pm – 3:30 pm : Panel Discussion -II: Technology and Employee Today; What Role should HR Play? Kindly register now and save the date! !